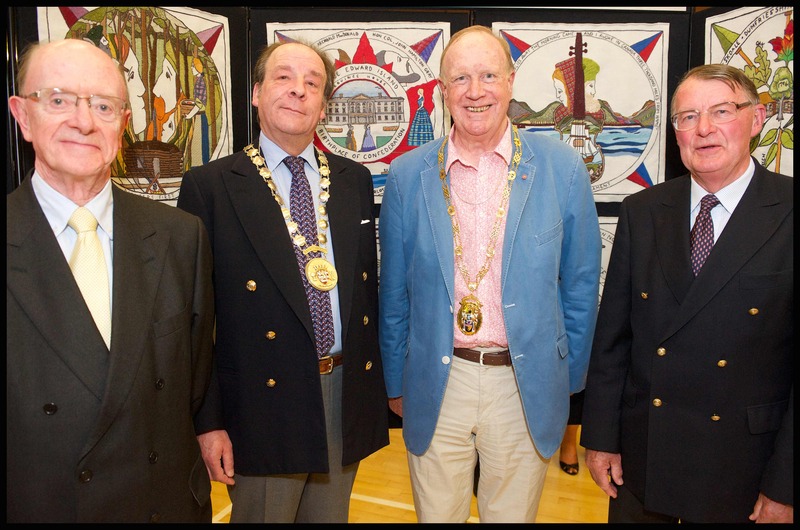 03-Jun-2014 The curtain goes up for The Scottish Diaspora Tapestry's world premiere exhibition! Scotland's Minister for External Affairs, Hamza Yousaf MSP, chats with artist Andrew Crummy ahead of the official opening of the Tapestry's first full exhibition, which opened on Saturday 31st May at Prestonpans Community Centre. 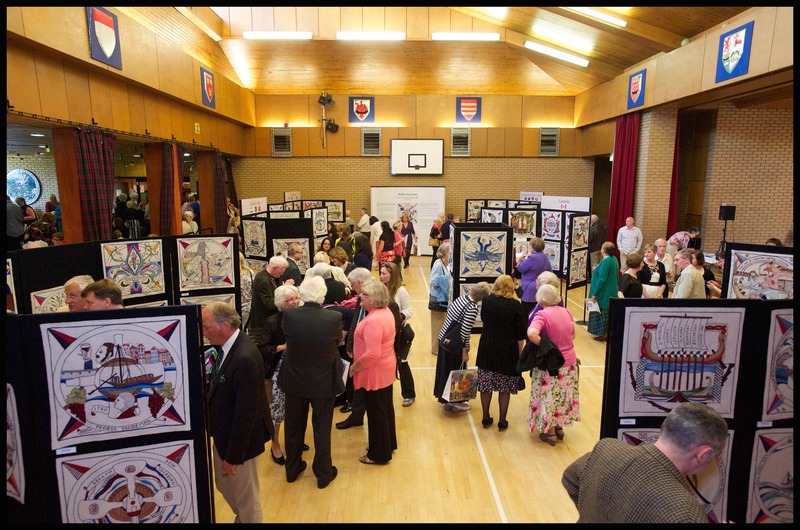 Hundreds upon hundreds have been flocking to see more than 165 embroidered panels telling stories from all around the diaspora. And on Saturday night, over 200 guests gathered to celebrate their achievement and admire the culmination of more than two years work across the globe. Project leader Gordon Prestoungrange (centre right) was joined on stage by the Provost of East Lothian, Ludovic Broun-Lindsay (centre left), Lord Lieutenant Michael Williams (right), and Russel Griggs (left) of Visit Scotland, each of whom gave a few warm words of welcome and congratulations, marking the start of the Tapestry's Year of Homecoming tour. Guests on launch night were treated to an ambitious tapas-style supper, with each of the seven courses representing one of the seven geographical clusters into which the Tapestry is organised. There were wines and beers from around the world too, including a special Diaspora Tapestry "Gothenburg Porter"! And of course, guests from as far apart as Australia, Canada and Sweden gathered around for a stirring round of Auld Lang Syne. THE FUN'S NOT OVER YET OF COURSE! The exhibition remains open at Prestonpans Community Centre, open 11am-5pm daily until Sunday 8th June, with a programme of talks and performances throughout the week.